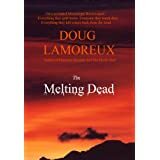 I received a copy of The Melting Dead in exchange for an honest review. Watch out all you zombie fans out there. There’s a “hot” new zombie in town just waiting to scare the hell out of you. I’ve read a couple of great novels this year about my favorite walking dead, but I think this one is going to be right up there at the top of the list. Horror is one of the more difficult genres to pull off in my opinion. It takes the right combination of imagination and timing, otherwise a reader struggles to suspend disbelief and the story falls flat. The slightest miscalculation can turn a real nail biter into a cartoonish dud. I never questioned the hands of the master who guided this story. I loved the idea behind what made these dead bodies come back to life and I doubly loved their descriptions and what drove them to find living bodies to feed on. I fought with myself over the four-star rating only because I struggled at the start to keep track of all the characters being introduced. This is a common problem for me though and may not bother anyone else. If it was possible I’d probably score this a 4.5. Part of what keeps this story moving so fast is the multiple points of view we are seeing it through. Once I got past the first quarter, where the introduction of characters took place, I read straight through the rest in one day. There are definitely no boring areas, no places where I felt like skimming to get back to action. A unique view into the zombie-loving world and in my opinion would definitely make a fantastic movie. If you enjoy reading stories about the walking dead, you’re going to love this one by Doug Lamoreux. Posted by Denna Holm on July 17, 2013 in Archives and tagged chilling, cursed, Horror, tense, zombies.